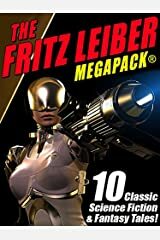 Fritz Leiber is considered one of science fiction's legends. 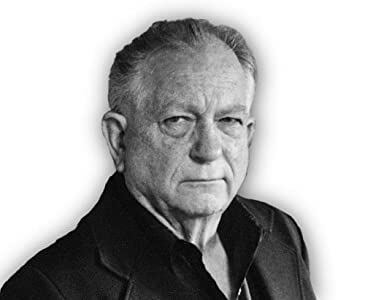 Author of a prodigious number of stories and novels, many of which were made into films, he is best known as creator of the classic Lankhmar fantasy series. 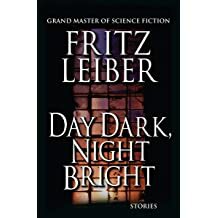 Fritz Leiber has won awards too numerous to count including the coveted Hugo and Nebula, and was honored as a lifetime Grand Master by the Science Fiction Writers of America. He died in 1992. 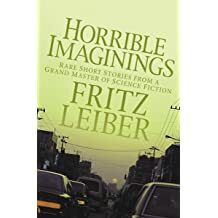 A must-read story collection from the Grand Master of Science Fiction and Fantasy and author of the Lankhmar series. 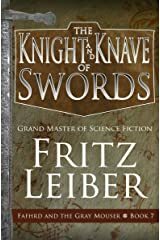 The Hugo and Nebula Award–winning series of swords and sorcery, featuring two unorthodox heroes, from a Grand Master of Science Fiction and Fantasy. 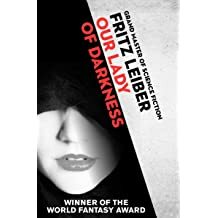 A horror author is drawn into a mysterious curse in this World Fantasy Award–winning novel from the author of the Fafhrd and the Gray Mouser series. 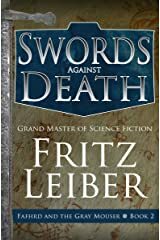 The Hugo and Nebula Award–winning series of sword and sorcery—featuring two unorthodox heroes—from a Grand Master of Science Fiction and Fantasy. 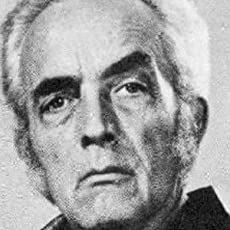 Long before George R. R. Martin’s Game of Thrones became a worldwide phenomenon, Fritz Leiber ruled the literary universe of sword and sorcery. 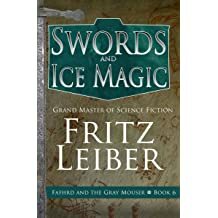 This novel and two short story collections chronicle the adventures of Leiber’s endearing and groundbreaking antiheroes: the barbarian Fafhrd and the Gray Mouser, a former wizard’s apprentice—in the series hailed as “one of the great works of fantasy in this century” (Publishers Weekly). Swords Against Wizardry: Bold Fafhrd and the sly Gray Mouser find adventure wherever they tread quick and lightly, whether it be in consulting a witch for advice, climbing Nehwon’s highest peak in search of riches, discovering that they may not actually be the greatest thieves in Lankhmar, or working both sides of a royal battle for the throne of Quarmall. 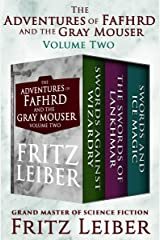 The Swords of Lankhmar: With a plague of rats teeming in Lankhmar, Fafhrd and the Mouser are hired by the city to guard a shipment of grain overseas. But when the duo returns, they discover the sentient vermin have taken over Lankhmar for themselves! And now it’s up to the barbarian and the thief to build a better rat trap. 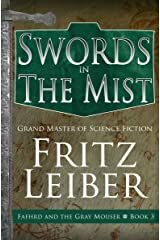 Swords and Ice Magic: Fafhrd and Gray Mouser make their way by sword and stealth as they face death in many forms, earn the ire of gods whose names they rarely even speak in vain anymore, lazily drift on the Great Equatorial Current, and venture far into the icy wastes of the Rime Isle to confront a pair of deities and a pillaging fleet in this World Fantasy Award nominee. A professor discourages his wife’s witchcraft to disastrous ends in this classic tale—the basis for three films—from the Grand Master of Fantasy. 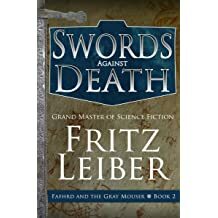 The final book in the seminal sword and sorcery series featuring Fafhrd and the Gray Mouser from the Grand Master of Science Fiction and Fantasy. 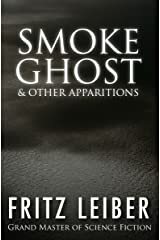 The highly regarded British horror author Ramsey Campbell called Fritz Leiber “the greatest living writer of supernatural horror fiction.” Drawing many of his own themes from the works of Shakespeare, Edgar Allan Poe, and H. P. Lovecraft, master manipulator Fritz Leiber is a worldwide legend within the fantasy genre, actually having coined the term sword and sorcery that would describe the subgenre he would more than help create. While The Lord of the Rings took the world by storm, Leiber’s fantastic but thoroughly flawed antiheroes, Fafhrd and Grey Mouser, adventured and stumbled deep within the caves of Inner Earth as well, albeit a different one than Tolkien’s. They wondered and wandered to the edges of the Outer Sea, across the Land of Nehwon and throughout every nook and cranny of gothic Lankhmar, Nehwon’s grandest and most mystically corrupt city. 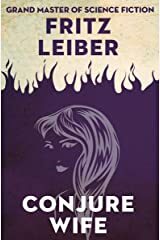 Lankhmar is Leiber’s fully realized, vivid incarnation of urban decay and civilization’s corroding effect on the human psyche. Fafhrd and Mouse are not innocents; their world is no land of honor and righteousness. 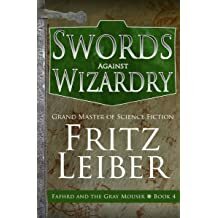 It is a world of human complexities and violent action, of discovery and mystery, of swords and sorcery. 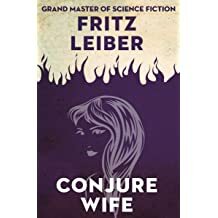 Fritz Reuter Leiber, Jr. (1910-1992) was an American writer of fantasy, horror, and science fiction. 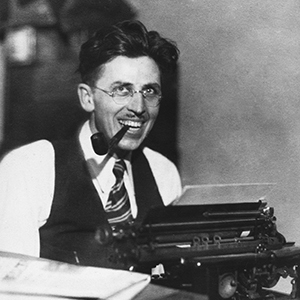 He was also a poet, actor in theater and films, playwright and chess expert. 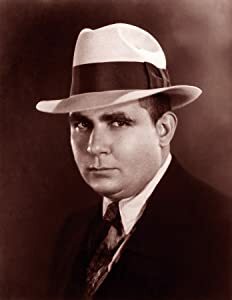 With writers such as Robert E. Howard and Michael Moorcock, Leiber can be regarded as one of the fathers of “sword and sorcery” fantasy (in fact, he coined the term). 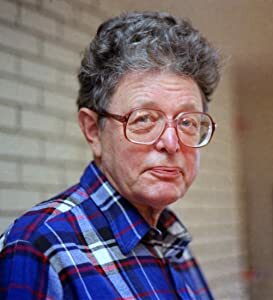 Moreover, he excelled in all fields of speculative fiction, writing award-winning work in fantasy, horror, and science fiction. 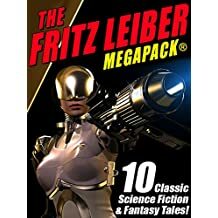 If you enjoy this volume of classic stories, don't forget to search your favorite ebook store for "Wildside Press Megapack" to see the 270+ other entries in this series, including science fiction, fantasy, mysteries, adventure, horror, westerns -- and much, much more! 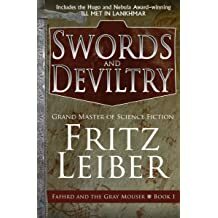 The award-winning sword and sorcery classic that introduced Fafhrd and the Gray Mouser, from a Grand Master of Science Fiction and Fantasy. 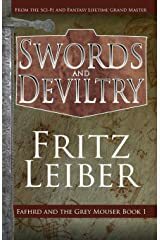 First in the influential fan-favorite series, Swords and Deviltry collects four fantastical adventure stories from Fritz Leiber, the author who coined the phrase “sword and sorcery” and helped birth an entire genre. 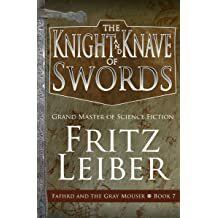 In “Induction,” in the realm of Nehwon, fate brings young prince Fafhrd and apprentice magician the Gray Mouser together to mark the beginning of a loyal and lifelong friendship. Consumed by his wicked mother’s enchantments, Fafhrd finds freedom by pursuing the love of a beautiful actress in the Nebula and Hugo Award–nominated “The Snow Women.” Studying sorcery under a great wizard in a land where it is forbidden, Mouse crosses the thin line between white and black magic to avenge a great wrong in “The Unholy Grail.” And in the Nebula and Hugo Award–winning novella “Ill Met in Lankhmar,” Fafhrd and the Gray Mouser disguise themselves as beggars to infiltrate the Thieves’ Guild—only to pay a horrible price for their greed when they come face-to-face with a monstrous evil. 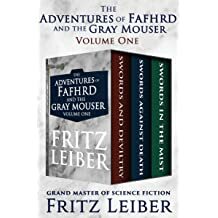 Fafhrd and the Gray Mouser search for treasure in book four of the genre-defining Sword and Sorcery series from the Grand Master of Science Fiction. Fafhrd and Mouse are not innocents; their world is no land of honor and righteousness. 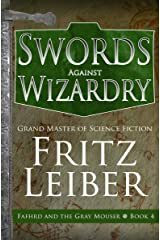 It is a world of human complexities and violent action, of discovery and mystery, of swords and sorcery. With Swords Against Wizardry, ,the story unfolds behind the curtain in the Witch’s Tent. Fafhrd and Gray Mouser are there to consult a sorceress who holds the secret to their escape, but when would they ever need to escape? Would they need this knowledge when they journey to Stardock? Where is there to escape up there? 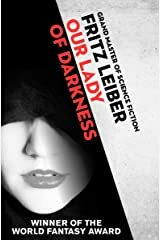 No doubt the icy seduction of “the cruel one,” with her greed for both gore and graciousness, could offer them several ways out. Their luck has been good so far; one way out should work. Their luck continues as thieves. They are the best thieves in Lankhmar until better positions arise: the Lords of Quarmall. Gray Mouser and Fafhrd steal a kingdom within a hill and declare themselves lords. 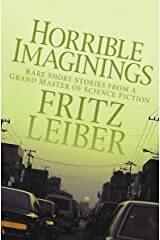 Stories of suspense, surprise, wit, and weirdness from Grand Master of Science Fiction and Fantasy—as well as a must-read horror author—Fritz Leiber.